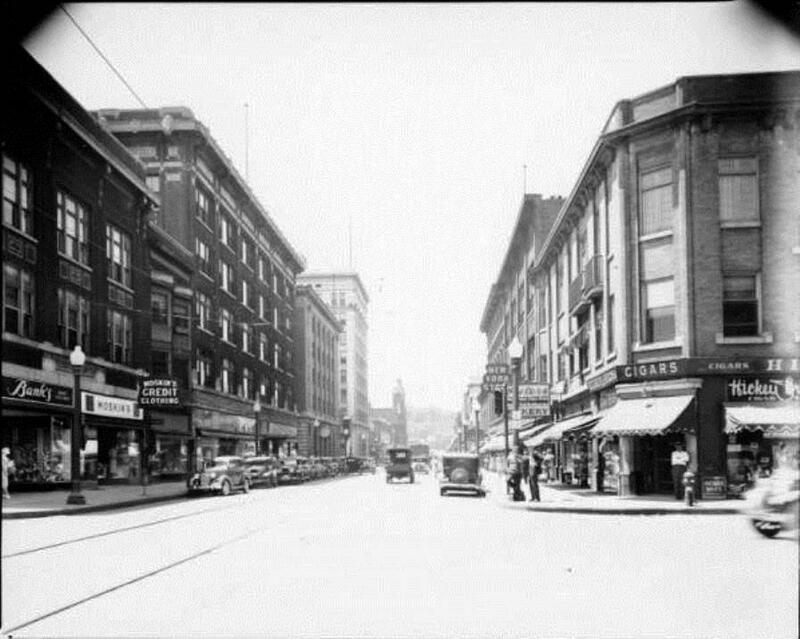 Moline Centre incorporates the historic district at our City’s heart with early downtown development that occurred throughout the early 20th Century. About two thirds of the buildings that contribute to the historic character of the district were built between 1900 and 1930. By the 1920s, the area clearly had been established as a quintessential American central business district, with the main axis along 5th avenue and a secondary axis along 6th Avenue. It included office and bank buildings, whose upper floors housed offices for a great variety of professional services. It also had department stores, scores of first-floor specialty shops, theatres, hotels, bars, and restaurants. Several institutional structures joined the mix, including the 1904 Carnegie Library, the 1914 City Hall, the 1924 Elks Club, and the 1928 Unitarian Church. 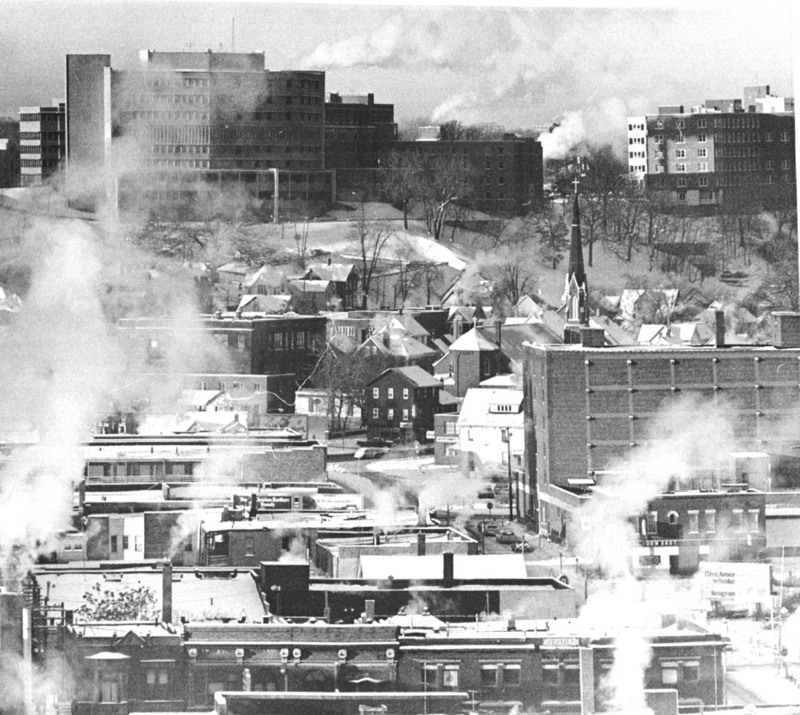 Moline Centre is included in the area of historic development. 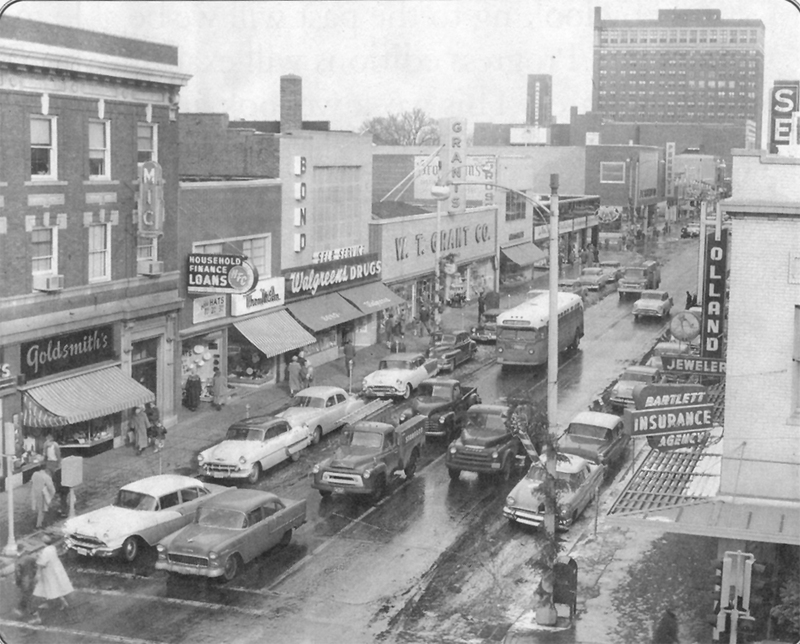 In the 1950s and early 1960s, the historic district continued to be the business and social center of the city. Parades, always drawing big crowds, had celebrated the end of World Wars I & II, along with Homecoming, Fourth of July, and Labor Day parades. Five major department stores now served the area, including Block & Kuhl Company, New York Store (demolished in 1990), J. C. Penny, Sears, Roebuck & Company, and Montgomery Ward & Company. By the 1940s, auto dealerships had appeared on the periphery of downtown as did several gas stations. Storefronts were modified during the 50’s and 60’s as attempts to modernize took hold. It was not until the late 1970’s and 1980’s that the major department stores made their move away from the downtown out to South Park Mall, forever changing the usage of many of the buildings. The most common historic building style is the one, two, or three-story brick commercial building. Two eight-story anchor block buildings are located near the center of the district - the 5th Avenue Building and today’s Chase Bank. Anchoring the eastern end of the district is the 1922 LeClaire Hotel, which is listed as an individual building on the National Register of Historic Places. At the western end of the district, acting as a visual counterpoise to the 15-story hotel, is the tall steeple of the First Lutheran Church, which was built in 1876. Moline Centre Main Street development is designed to retain the feeling of our historic downtown. While Moline Centre extends beyond the historic district, it is still easy to identify a clearly defined “downtown,” distinguished from the surrounding area with residential boundaries to the east at 18th Street and west at 12th Street. The overall condition of the district’s commercial buildings is good, with many continuing to display a high level of architectural integrity.